Our community shop space is open to the public during all hours of operation, Tuesday through Saturday, 10am-6pm. This is a free service, yet donations are appreciated. We provide the tools, parts, and knowledge to help you work on your bicycle. Open Shop is all about teaching people repair skills so they can one day do it themselves or teach others. A mixture of staff and volunteers are available to assist you in diagnosing and fixing whatever may be ailing your two wheeled friend. Flat tires, wobbly wheels, squeaky brakes or loose headsets, we've got you covered. Open Shop is also a time when anyone can come volunteer and participate in Free Cycles fun. Since 1996, over 200,000 people have come through our doors. Build-a-Bike is exactly what it sounds like. 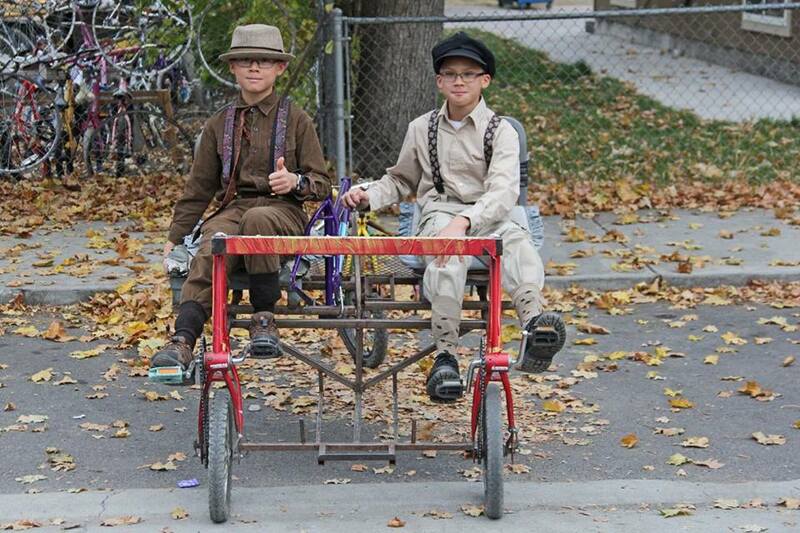 Using our massive amount of donated used parts and frames, you can build yourself a bike. This program helps you with every aspect of what it takes to build and maintain a bike, and how every piece of the bike works together. From the ground up, the only limit to your new bike is your imagination and the current supplies in the shop. After taking our BikeWell class and volunteering 4 hours of your time*, either a staff or volunteer will work with you and start helping you dream up your new ride. Build-A-Bike invites you to join the adventure of bringing a bike back to life, regardless of previous knowledge or experience. Over time, approximately 18,000 people have built free bikes through Free Cycles. *Free bicycles available for kids 10 & under (no volunteer time nor class required). Ages 11-14 must take BikeWell and volunteer 2 hours. Bikes Built by you. For you. Our Bike Well Classes are designed to give you an in depth overview of what it means to ride a bicycle in Missoula and Montana. Usually about an hour long, BikeWell gives you a tour of the shop layout, guidelines, and an overall more in depth look into Free Cycles and MIST. The course also goes over traffic and trail laws, urban design, commuter safety and etiquette, basic bicycle maintenance, and secret bicycle tips. 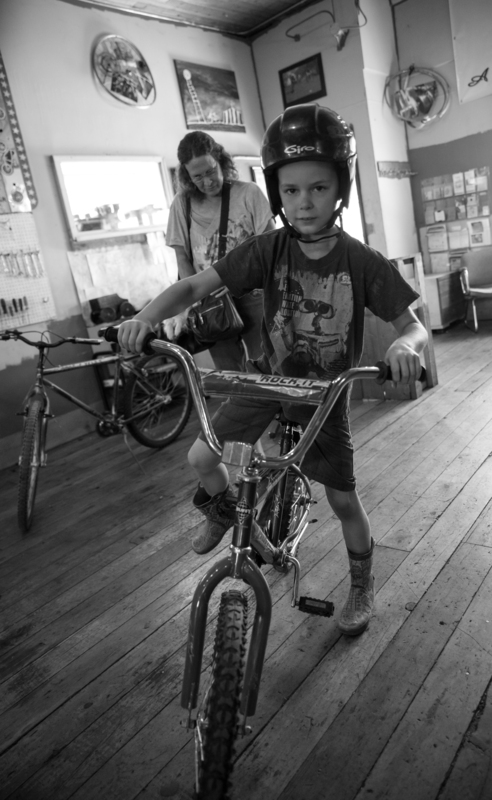 It is safe to say BikeWell class is never exactly the same, as there is so much to cover in the world of bicycles, and we aim to make our education as engaging and personable as possible. Classes are free, open to the public, and do not require advanced scheduling. Currently we offer BikeWell three times a week. If you are unable to attend any of these times come into Free Cycles during Open Shop and we will further plan how we can work with you. Over 5,000 people have participated in BikeWell. CLASS TIMES: Fridays: 1-2p.m. & Saturdays: 11a.m.-12p.m. HAVE FUN. Be safe. Go farther. Over the years Free Cycles has coordinated and facilitated over 160 outreach events with local schools and organizations. 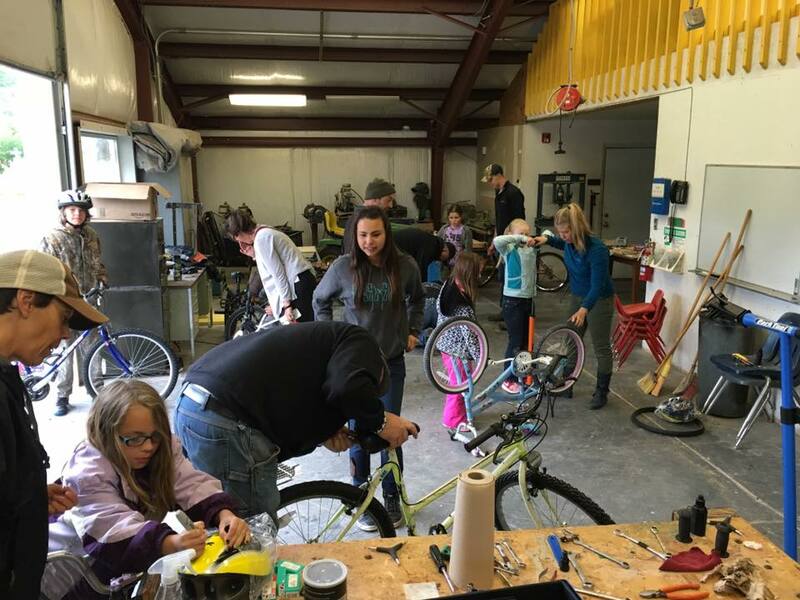 Youth Cycles puts tools in kids' hands, sparks an interest in bikes, and emphasizes the world of helping others. Please contact us if you are interested in setting up a field trip, class, or workshop under the Youth Cycles program. 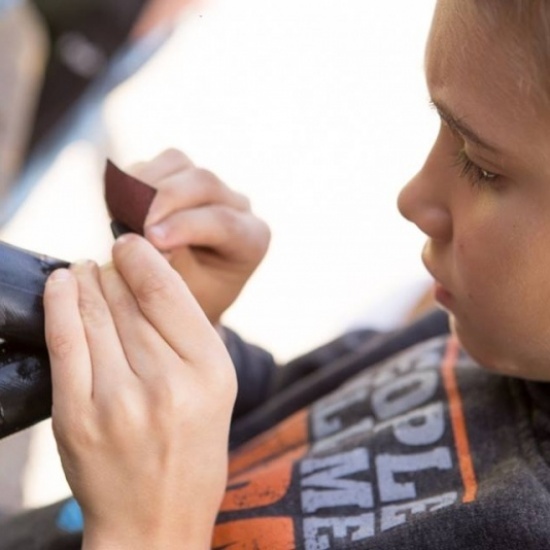 PUTTING TOOLS IN KIDS' HANDS. This project facilitates the creation of art at Free Cycles for public exhibition/interaction, with used bicycle parts from Free Cycles and recycled materials donated by Home ReSource. The Artist In Residence Program creates a more dedicated interaction between artist and place; practice and environment; art and bicycle; sculpture and community.